Here a couple of simple principles we can learn from His example in order to make the best use of our life and talents to equip others. Those who desire to receive intimate instruction, will be obvious. They will be ‘bumping’ up to us and continually inquiring about Scriptural truths and practical application. Our life is too short and our time is too precious to waste trying to disciple those who are not aware of their need. Investigating the desire of the ones ‘bumping up’ is important for making a prayerful decision. 2) Time – Jesus did not neglect teaching the masses, or helping to meet their physical needs. However, the greatest amount of His time was poured into the disciples He chose. They were with Him, as we saw above, for more in-depth instruction, prayer and personal care. It is impossible to make disciples without spending sufficient time developing them. Our time should be offered to those who desire it, AND who understand the purpose of it. By this, I mean, they know their need and they are willing to be instructed and held accountable through the disciple process. Obviously, the time spent in instruction is necessary to establish sound doctrine. Along with this, we must be careful to use this time to answer the questions of the heart as well. I like to divide this time into two categories: devotional and discipline. 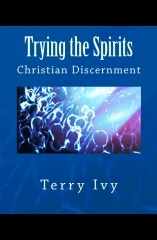 Devotional will involve the issues which the Holy Spirit is flaming in their hearts. Discipline will involve the systematic instructions which build a solid foundation underneath their understanding. 4) Opportunity – Those who Jesus chose were given ministry opportunity to ‘cut their teeth’ on. (Luke 9:1-2) This was followed by them explaining their experiences to Jesus when they returned. (Luke 9:10) This also opened the instruction up to deeper levels. (Luke 10:17-20, 23-24) This pattern is essential to understand. It uses the joy of experience as the impetus to go deeper! It is amazing how the instruction we give to those we are training takes on a new level when they are given the opportunity to apply what they are learning. It is a joy to answer questions by those who are applying what they have learned. Many times, they are experiencing disappointments and/or successes which bring to bear in their life the seriousness of prayer, soberness and maturity. The safest place for disciples to ‘spread their wings’ is among other believers. Sharing among fellow believers will help encourage and strengthen them. As leaders, we should give as much opportunity as possible to let those in ‘training’ share. After all, we are called to make disciples and disciple makers…not create a personal following. Ultimately, from these will come church planters and/or new elders whom the Lord will use to further His kingdom.